Experience How Fabulous The Ridge is Starting at USD998,000. 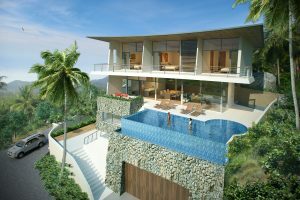 The Ridge is an exclusive luxury development of private pool villas with panoramic sea views, located in the prime North East of Koh Samui, and just minutes from the island’s most popular beaches and entertainment areas. Designed by David McCormick, a renowned international architect, each villa provides the perfect blend of contemporary tropical living. Also, the villas are intended to meet the dual requirements as a luxury vacation residence and successful luxury villa rental property. The Ridge is the perfect escape plan from the busy city life – sunbathe on the expansive terrace, take a cool dip in the infinity pool, relax in the integrated Jacuzzi and dine under the stars. It simply is rest and recreation with style. And to secure land and villa ownerships in The Ridge, all it takes is an initial deposit of THB 120,000 (USD3,800), the payment of which will kick off the reservation agreement. 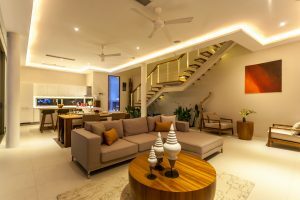 The Ridge, named “Best Residential Development (Samui)” 2014-2015, currently has just The Platinum Villas available but all the villas enjoy luxurious open plan living, sweeping balconies and elegant wood finishes. 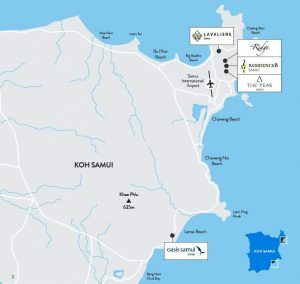 Koh Samui will meet the needs of every kind of traveller. The island boasts of infrastructure that includes an international airport with flights from Hong Kong, Singapore, Kuala Lumpur and Mainland China. The island also has several world class hospitals, which makes Koh Samui a popular medical tourism destination. In terms of more traditional tourism attractions, there are watersports and eco-tourism to gourmet dining and golf. With its breathtaking combination of tranquil palm fringed beaches and lush mountainous rainforest regions, it’s not hard to see why the island is fast becoming a preferred destination for high end tourist resorts and spas. Each villa in The Ridge provides a taste of the contemporary tropical living. The Ridge epitomizes the ultimate tropical home and vacation property, accentuated by the renderings of bold architecture, sweeping curved roofs and floor-to-ceiling windows that open out to panoramic sea views. Platinum. The beautiful 522-square meter Platinum villa is designed to provide the ultimate vacation experience. With wrap-around terraces and an expansive living-dining-kitchen area that opens directly onto the pool terrace, this villa is perfect for discerning owners that prefer a truly luxury villa. Three or four spacious bedrooms, spectacular panoramic views and huge floor-to-ceiling windows on both living and bedroom levels. Pure. The Pure villa is the ideal 3-bedroom vacation home, ideal for holidaying owners and perfectly proportioned as a rental property. The generously sized open plan living-dining-kitchen area leads directly to the pool terrace and infinity pool. The two bedrooms on the upper level both occupy corner locations with panoramic views, while the third bedroom or tropical home office is set apart on the lower level. Palladium. The stylish Palladium Villa has an expansive open-plan living, kitchen and dining space that opens out directly onto the pool terrace. With more than 400-square meters of space, it is ideal for relaxing vacations and for entertaining guests. Two bedrooms are located upstairs with a sweeping balcony and spectacular panoramic views, while a third room downstairs can be used as a 3rd bedroom, home gym or a tropical island office. The Ridge is ready to work with villa owners so that the interiors of their unit will taste, color and fabric to their preferences. In fact, an individual fully rent-ready furniture package can be provided so that villas can be handed over rent-ready and ready-to-live-in. Otherwise, an array of interior furniture design packages, all stylish and fully functional, is ready for the picking, courtesy of The Ridge Team. The Ridge is recipient of the 2014 Thailand Property Awards, considered a benchmark for excellence in the region’s property sector, which indicated that that the private pool villas have been designed and constructed with strict adherence to world-class standard. Rodney Waller is an experienced property investor and developer with more than 20 years of doing business in Asia. He authored “The Essential Guide to Buying Property in Thailand,” currently regarded as among the most authoritative book on the subject. Andrew Walmsley has been in the high-end real estate development business for more than 10 years. His continuing involvement in the upscale property market has given Walmsley a direct access to a network of high-profile contacts in the entertainment, media and F&B industries with focus on Japan. David McCormick is an award-winning architect with imposing presence in the Asia-Pacific region. McCormick is prized for his signature of fresh and innovative designs. Among his well-known projects are the Beijing Olympics in China and the Novotel Han River, which at the moment is the tallest structure in Danang, Vietnam. David Birchall started with PriceWaterhouse Coopers where he specialized in Property. 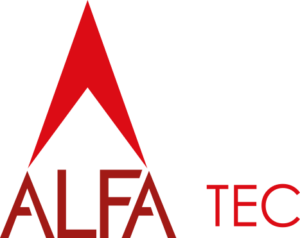 Since then, he has worked extensively in senior board roles in Europe and Asia. He has designed and project managed refurbishments in the UK, Hong Kong and Samui. His experience and attention to detail ensures a high quality product is finished on time and right on budget. Villa management of The Ridge is handled In-Villa Luxuries. 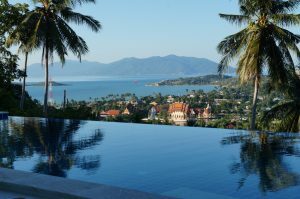 The company specializes in the management of Samui’s high-end villas. In-Villa Luxuries provides the full villa management services from basic management and maintenance to full rental management and concierge services. The competent and friendly team is available to the visitors’ villa holiday experience simple and worry-free, backed by professional staff for superb customer support in the entirety of their stay. Upon request, guests can enjoy a broad range of activities and programs exclusive to your villa, with a 24-hour luxury In-villa Concierge service providing everything at their fingertips: the ultimate vacation experience for your friends and guests. Initial payment is only THB 120,000, roughly USD3,800, that will cover for the reservation fee. 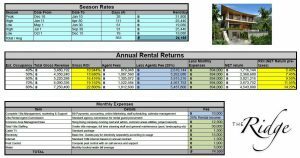 The amount is then credited as partial payment towards the rents and purchase prices and other amounts required under the purchase agreement. Golden Shares via the Hong Kong Company.